In January 2018, a four-day training course on forest restoration and plant identification took place at Brackenhurst Botanic Garden, a member of the Ecological Restoration Alliance of Botanic Gardens (ERA). Over 20 participants attended the training course from botanic gardens, NGOs and government institutions from Kenya, Ethiopia and Uganda. 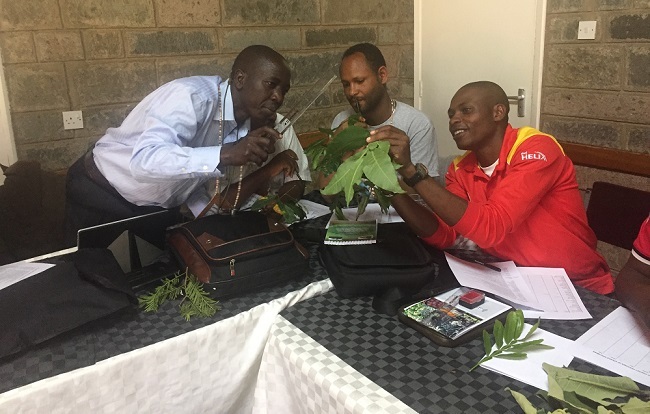 Trainers from Brackenhurst Botanic Garden, Tooro Botanical Gardens in Uganda, and BGCI, taught participants how to plan forest restoration, select appropriate native species for restoration, propagate trees from seeds and cuttings, and the basics of plant identification. Brackenhurst Botanic Garden, situated in Tigoni, was the perfect location for the training course as the restored forest onsite provided first-hand experience of how restoration can be achieved in a short timeframe. Practical sessions on seed collection and plant identification were run within the restored forest, and propagation techniques were demonstrated in the nursery onsite. Speakers from four restoration projects in different regions of Kenya that are utilising native species shared their experiences and challenges with the group. Mark Nicholson, the Director of Brackenhurst Botanic Garden, spoke about the restoration work that has taken place at Brackenhurst. Established in 2000, Brackenhurst Botanic Garden has been restoring 40 ha of former exotic eucalyptus plantations back to indigenous forest. The site now boasts 170 species of birds, double the number that were present when restoration began, and Colobus monkeys have returned to the sites after 60 years of absence. 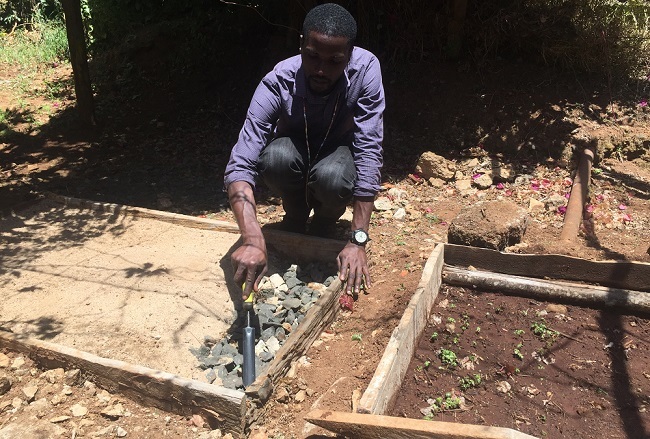 Norbert Rottcher, who upon realising no commercial nursery supplied the native plant species needed for his own restoration project, established an indigenous plant nursery in Kilifi on the Kenyan coastline. The nursery provides an important source of plant material for restoration projects in the region. Two days of the training course focused on building capacity for native species restoration. Participants were taught how to use a botanical key to identify sterile plant specimens, how to determine when seeds are ready for collection, best practices in the nursery, and how to propagate native trees from seed and cuttings. 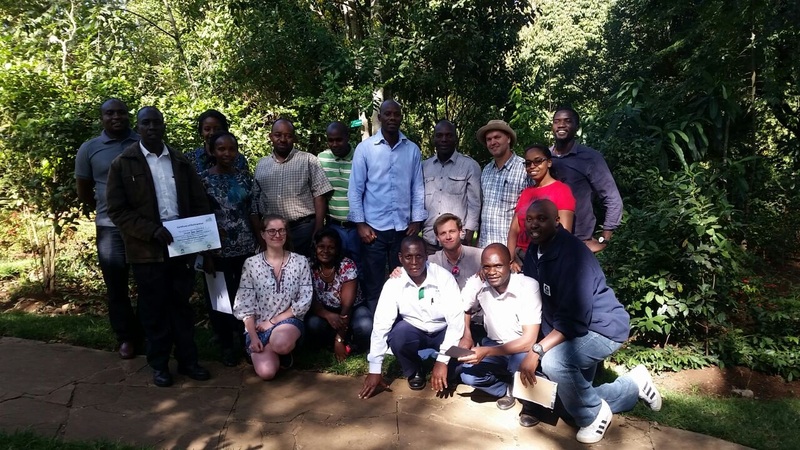 The training course provided a platform for participants to discuss the challenges associated with restoring landscapes in East Africa and suggest ideas for overcoming challenges. To support continued learning, trainers highlighted resources available to support forest restoration, including from the ERA, BGCI and Global Trees Campaign websites. All participants had the opportunity to talk about their projects, share strengths, lessons learnt and skills gaps. Participants were encouraged to stay in touch with BGCI, Brackenhurst and other participants, and to visit each other’s sites so they can continue to learn from the experiences of other restoration practitioners in the region. This training course was funded with support from the Government of Japan through the Japan Biodiversity Fund. Find out more about BGCI’s programme Enhancing Tree Conservation and Forest Restoration in Africa here.